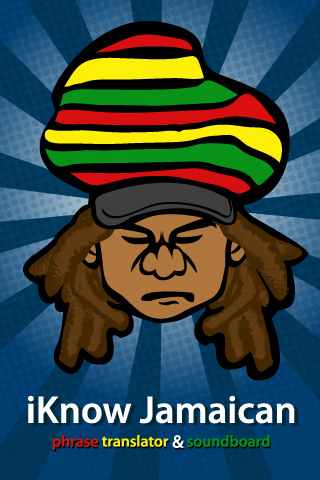 OVER 400 ENGLISH/PATOIS PHRASES RIGHT TO YOUR iPhone!! translator in every way, and the developers really thought outside of the box!! -- Mike C.
the phrases are extremely funny…I HIGHLY RECOMMEND THIS APP! !” -- Diane S.
Keep ★★★★★'s coming for additional updates!!! Changed display name of the app. This app is the funniest thing I ever downloaded! Everyone that uses it can't stop laughing! Must have!